What better way to give a gift than to make a combination card-with-box using Pion Design’s beautiful Christmas papers! 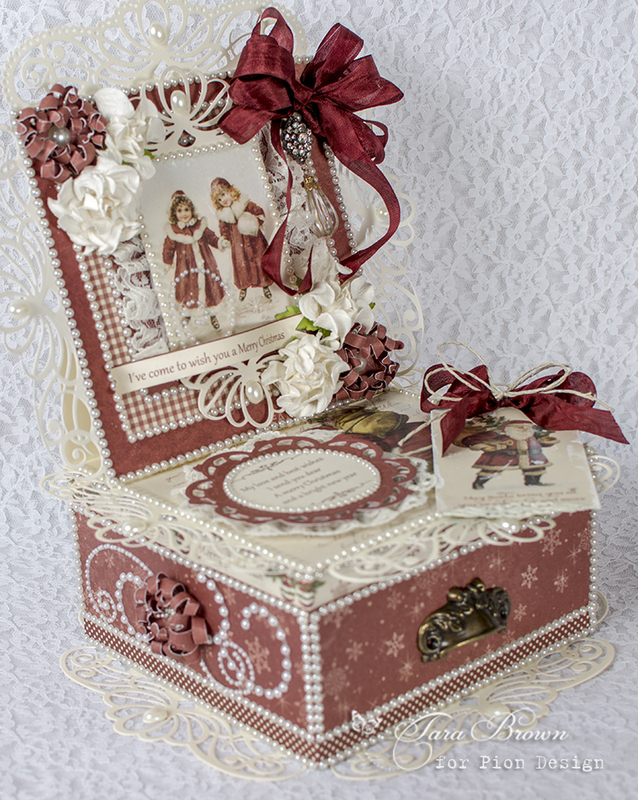 There are so many possibilities for decorating boxes and cards using these wonderful Christmas collections. Stunning box here from Tara. Sooo soooo beautiful and well made as usual, and the colors are just gorgeous too. I love this oldfashioned look for christmas, because it somehow sends a signal about old times and tradition, and it´s definitely fulfilled here in a rich way. I just LOVE this projects. I’am always happy if I see That you have created beautiful Things.